A Willett signed ball is seldom seen, and this black sharpie signature is placed on a Masters logo ball. 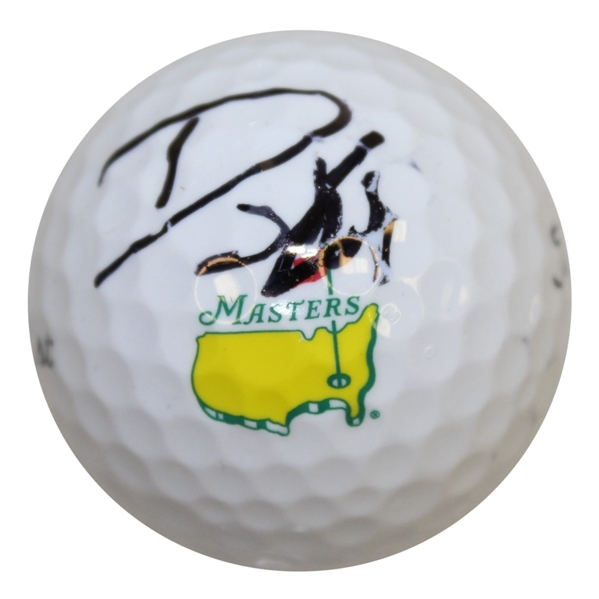 This may turn out to be one of the tougher signed Masters logo golf balls to acquire in recent years. Danny Willett surprised the world by winning the 2016 Masters, his first and only Major championship, by shooting a 67 on Sunday. He became the first player born in England to win a green jacket in twenty years since Nick Faldo did it in 1996. Willett matched the best score of the weekend when he closed with a 5-under 67 and no bogeys on his card. Willett's signature comes with JSA authenticity #V44445.